More and more often nowadays we see comic or cartoon-style tattoos on various parts of the body: Mickey Mouse, Donald Duck, Bugs Bunny tattoos…you name it. All the beloved Disney or Warner Brothers cartoons have become an integral part of our cultural heritage, so why shouldn’t we celebrate them in glorious Technicolor as tats, if we so wish? Well, one reason we shouldn’t is that Mickey and co. are quite simply private property and depicting them in tattoos is a form of trespass. Their original creators, or the studios that bought them, own all copyrights so reproducing them in any form is technically illegal. If you can find a tattoo artist who specialises in this type of artwork, he will probably have acquired copyright permission to reproduce certain images, but it does not seem very likely that the vast majority of artists would have applied just on the off-chance that a client might want a Bugs Bunny tattoo on his arm. 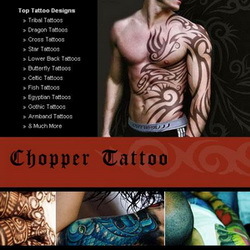 However, it is always worth asking and establishing the position with the tattooist beforehand. Bugs Bunny first appeared on screen in 1938 as the cheeky adversary of Porky Pig in the Warner Bros. cartoon ‘Porky’s Hare Hunt’. One of the directors of this was Ben “Bugs” Hardaway, for whom the goofy rabbit was named. However, his actual creator has long been disputed because the original rabbit was different in certain essentials. Although it was 35 years ago that the first ‘Jaws’ film soared to popularity, everyone remembers the menacing theme music that heralded the appearance of the shark; and I would like to place a personal wager that when people see your tribal shark tattoo, many of them will hum that tune to you! Whether you love sharks or hate them, these amazing lords of the sea make very striking tattoo subjects. 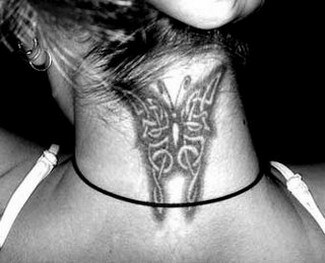 They are usually seen as an expression of bravery and fearlessness, and an emblem of protection for the wearer. Sailors (notoriously superstitious people) often wore shark tattoos to signify that they were not afraid of the dangers at sea and also to give them protection on board ship. Other traits of sharks include perception, calculation, intuitiveness, curiosity, efficiency and dynamism and can all be symbolised in a shark tattoo. As the favourite creature of legends for centuries, dragons are, understandably, one of the most popular subjects for tattoos the world over and tribal dragon tattoos are becoming increasingly popular, particularly amongst young males. There are two distinct styles of dragons, those belonging to the east which have long, snaking bodies and are wingless and those relating to western mythology with their elongated neck and mighty wings. The meanings of the two are as different as their appearance: the Chinese and Japanese dragons symbolise benevolence, wisdom and good fortune whilst the western dragon is a terrifying, fire-breathing, destructive monster. In mythology and folklore stories of dragons abound and these have resulted in a great variety of symbolism being attributed to them. Many believe they have been around since the creation of the world and, in fact, had a hand in its manifestation, but they are equally associated with its destruction so have the dual symbolism of creator and destructor. Because the western dragons were sentinels of the dead as well as fire-breathing monsters who guarded treasure, they symbolised guardianship. Despite the beautiful, intricate delicacy of these gossamer constructions, and the positive super hero imagery of Spiderman and Spiderwoman, spider web tattoos have fallen into disrepute as tattoo designs because of their negative connotations. Originally they were symbols of industry, patience and flexibility associated, in Greek mythology, with Arachne, famed for her talents as a spinner and weaver, but who overstepped the mark when she committed hubris and challenged the goddess Minerva to a contest. As goddess did, Minerva wrought revenge and turned Arachne into a spider. For some time now, however, spider web tattoos have become one of those coded signifiers that denote a number of negative qualities. A beautiful peace dove tattoo is full of significance for the wearer. It can be symbolic of peace, hope, love, fidelity, innocence or purity, or it may have other specific religious or supernatural connotations. In contemporary times the dove of peace has become a universal symbol for peace-lovers and anti-war protestors all over the world. As a tattoo subject it has always been an extremely popular choice and if you are considering a peace dove tattoo for yourself, you might want to delve a little more deeply into the significance behind your choice. Everyone knows the biblical story of how Noah saved the human race and all the animals from extinction during the great flood. The story tells that after a year on the ark, Noah released a dove to find land and this returned with an olive branch (itself a sign of peace and friendship) in its beak, from which Noah realised that the flood waters had receded. 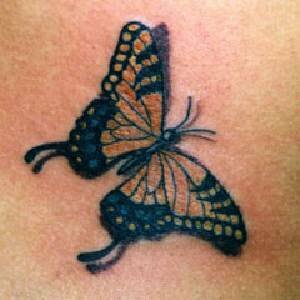 Hummingbird tattoo designs are a relatively modern trend in tattoo designs. Because these birds are among the smallest birds in existence, they make interesting subjects for tattoos and are greatly sought-after, particularly by women. But what accounts for their sudden popularity as tattoo designs? Perhaps it’s because of their pretty, neat little features as a stand-alone design, or perhaps because they make an excellent additional detail to a larger, more intricate design. At any rate, because of the increasing popularity of hummingbird tattoo designs, we need to delve a little deeper into the stories and legends about this colourful, tiny creature. In the natural world, hummingbirds are not the type of bird you see in your garden every day. They are only found in the western hemisphere, feeding off nectar, like bees. The Central American Aztecs believed they had supernatural powers because when an exceptionally brave warrior, conceived from a ball of feathers, died in battle, his mortal body vanished and a hummingbird whirred up from the ground and led his people to victory.